Sunday, 30 December 2018, 11:50a.m. 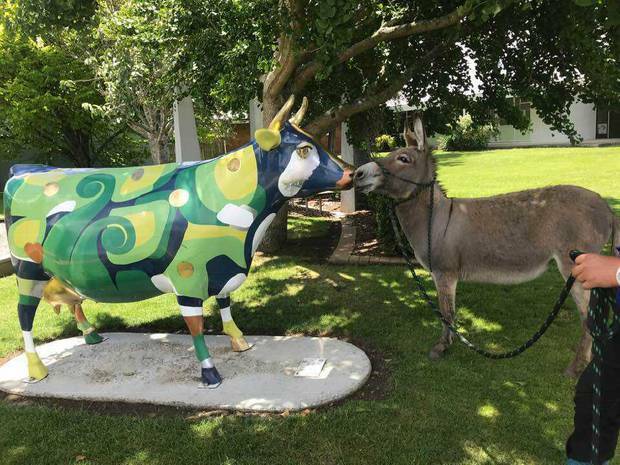 A donkey that was much loved by members of the Anglican Church in Morrinsville had to be put down on Christmas Day after being attacked by dogs. Sweet, gentle and slightly sassy, Angel the donkey had earlier starred in the church's annual Christmas parade and Nativity scene, owner and parish vicar Val Riches said. She said Angel lived in a yard enclosed by high walls and a padlocked gate but that the dogs likely squeezed under the gate. She was then attacked sometime between Christmas Eve and the Christmas Day service, when Riches heartbreakingly discovered her lying dying with her legs, backside and ears mauled. "Her ears had been ripped, her nose had been bitten and her rump had been half eaten out," Riches said. "Not very nice to see at all." The young donkey wouldn't drink water and when a local vet - who had been at the Christmas Day service - came to help, he recommended euthanising Angel as the kindest option. Riches thought Angel's death was a concern for safety in the town. She said other animals including sheep and a goat had been attacked by dogs in Morrinsville but this was the first time that a larger animal like a donkey had been targetted. "It's not a town where you see lots of dogs around, but animals have been attacked." Riches had taken Angel to church events because she helped bring Bible stories, such as the nativity and Palm Sunday, to life for children. 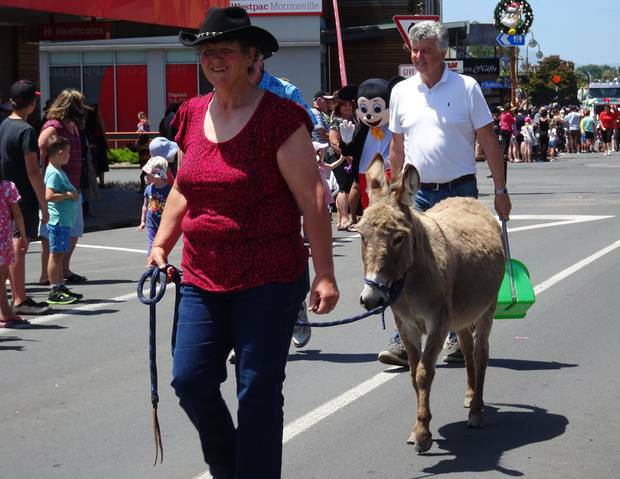 As a two-year-old donkey who had been raised by Riches her entire life, Angel enjoyed interacting with people and behaved perfectly while taking part in the annual Morrinsville Christmas parade. "We were in the Nativity float parade with her and the donkeys beside the children and angels and chickens," she said. "We walked all the way down the mainstreet and back and people patted her." Just before she was attacked, Angel had been entertaining children as usual when groups went around behind St Matthews church to meet her following the Christmas Eve service. Angel would walk up to the children and sniff them while they patted her. Riches had been thinking of taking children to meet Angel after the Christmas Day service as well but was thankful she didn't so that they didn't see her as she lay dying.